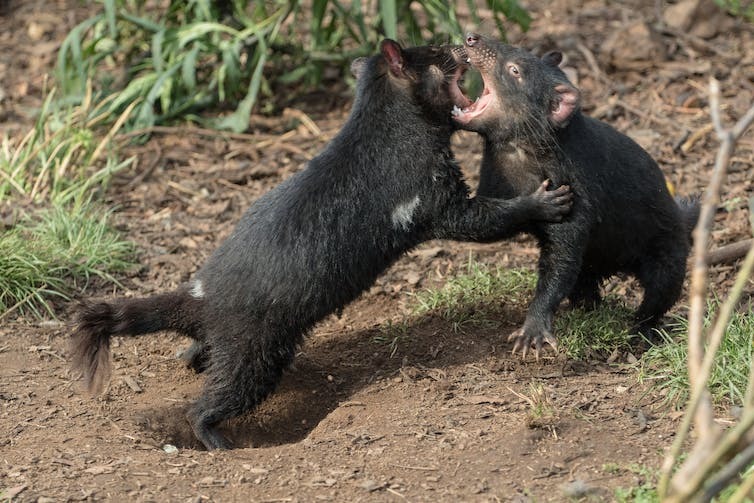 Aggressive behaviour exhibited by socially dominant Tasmanian devils may predispose them to infection with devil facial tumour disease. 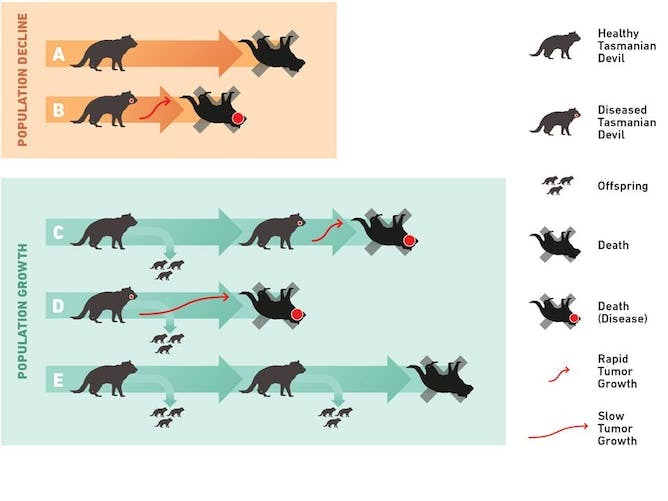 Possible scenarios of Tasmanian devil survival and reproduction amid the risk of DFTD infection. The horizontal thick lines indicate individual devil survival over time, small devils reproduction and red dots infestation with tumours. In contrast, devils who get the disease late in life © may have already reproduced earlier. In (D) devils may still get infected, but if the tumour grows slowly they may still have chance to reproduce before death.